There aren’t many feelings which compare to the simple pleasure of walking slowly across a carpeted floor. Imagine the luxury of the piles gently compressing underfoot and how it just makes you feel good, and you will see what we mean. You can have this experience every day if you come to our carpet store in Great Falls, MT. Our friendly and knowledgeable staff at Flooring America will help you find the exact styles you want which will blend nicely into any design you have, or it can also stand as the focal point of your room as the element which the style is built around. Either way, our inventory is up to your wants and needs. You don’t have to worry your carpet standing up to your family’s active lifestyle because we have brands such as Stainmaster, which are specifically designed to withstand the challenges of a child’s spilled drink as well as dirty pet paws with equal aplomb. When you purchase carpet from us, your carpet floor will look great when it’s installed, and it will continue to look good for years to come. You will have peace of mind in your in your choice when you buy from Flooring America due to the quality and the fact that we stand firmly behind all our products. Our Ultimate Confidence Guarantee means we will make it right for you if your product doesn’t meet your expectations. With the Price Protection Guarantee, we will make up the difference if you see the same brand and style of carpet for a lower price within 30 days after purchase. Thanks to our Assurance Guarantee if you are not happy with your flooring during the first 30 days after purchase, we will replace it with carpet of equal or lesser value. Let our experienced carpet installation team lay your carpet quickly and efficiently. We’ll make sure it fits exactly without any ridges or ripples that sometimes appear with amateur jobs. You get a floor you will love and gives you long-lasting quality. 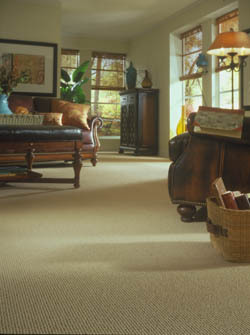 Contact us to find the exact type of carpet flooring you are seeking. We proudly serve customers in Great Falls, Monument, Black Eagle, Vaughn, and Fort Shaw, MT, and the surrounding area.